I recall the first time I saw this demoed at the MVP Summit last fall and wondered how/if I would use this. My thought process, at the time, was that Microsoft has put together a nice, functional Administration and Developer portals so why would I want to call these APIs myself? Fast-forward about 8 months where I have a ‘Middleware’ support team and also other internal stakeholders who are interested in some of this data. While I could provide access to all of these users to the portals I just mentioned but it feels like it would be just another website that someone has to remember credentials for. It also would be very disconnected from some of the other tooling that the Middleware team uses to support interfaces (BAM, Exception Portal, BizTalk360 etc). In addition to BizTalk, we also have other Azure Services that participate in some API interactions including Web APIs, SQL Azure and Service Bus topics. 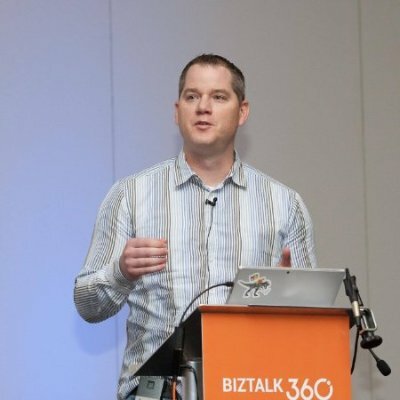 With all of these disparate sites and services, it was time to build an “Integration Portal” where we could consume these external data sources (API Management, SQL Azure, Service Bus) and then link to the other BizTalk tools). 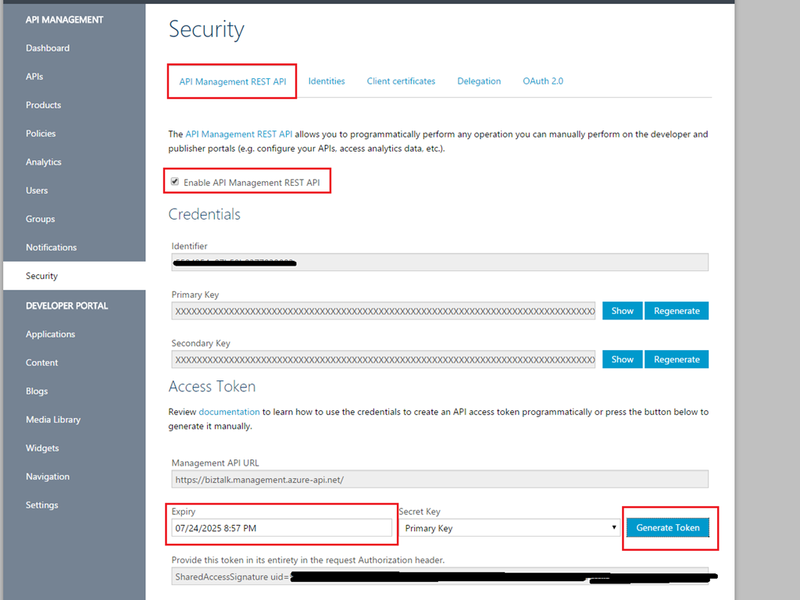 Perhaps I will get deeper into this Integration Portal solution in the future, but for now let’s focus on the Azure API Management – Management API and how we can consume some of the Analytics that we would ordinarily see in our Admin/Developer portal. For the purposes of this Blog Post I am going to build a simple ASP.NET MVC Project where I will display my API Management Analytic data. I am not going to go through setting up the MVC project in much detail, but here is a link to a good tutorial. Within this MVC project I am going to create a new Controller called APIAnalytics and will use the a view called Index to display my data. Below is the code that I have included within my Index() method. You will notice this is marked as an async method as we are making our API Call using a GetAsync method. I have added comments within the code to provide some additional context. If we go ahead and run our application we will discover the following web page. The are all of the API Products that exist within my tenant. As you can see I didn’t have any calls to my Auto Insurance apis and instead was just trying out my BizTalk Boot Camp products. Within the unlimited tier you will see a very large API Max Time. The reason for that is that I didn’t actually have the API backend up during that initial call. On my limited product you will see I have a Block Count of 3. The reason for this is that I have rate limiting enabled on that product and as a result I had some blocked calls. The Azure API Management – Management API is quite rich and allows organizations to create custom dashboards or integrate this data with related data from other sources. Within this blog post, I have only demonstrated one type of call that is available within this API. For more details and to discover the different APIs, please refer to the following web page.